You can listen to 'Hometown' here. 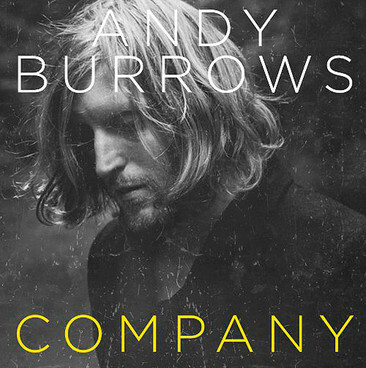 Andy Burrows as a solo artist is in view since his duo Christmas album of 2011 with Tom Smith of Editors. This is always followed by "ex-drummer of Razorlight" and that he had co-written Razorlight's big hit 'America'. Now there is a full solo album by Andy Burrows and it is interesting. So who knows the ex moniker may not be necessary anymore soon. Burrows presents himself as a singer-songwriter in the best west coast tradition. What I like most about the album is that the listener is allowed to focus on the songs. Most songs are kept small, without too much effects. The songs hold up as the melodies are interesting enough to follow through and listen to without missing embellishments. A lot of attention was put into harmonies, not only in the form of singing together, but also in finding spots in the song where phrases can be repeated outside of the first line of singing. 'Keep on moving on' could have been a CSNY song. So the guitar antics midway of the song come as a big surprise. These sort of surprises are one of the stronger points of Company. 'Maybe you' comes with a trumpet solo that seems totally out of place in this ballad, as it is also somewhat wild sounding, in this rustic song. Company is not a 2012 album. It could have been made years ago by someone of the likes of Tim Hardin. Of course there are some influences shining through the album that are of later date, it's the intention that counts here. 'If I had a heart' is the brother song of 'Roscoe' on Midlake's 'The trials of Van Occupanther' album. The harmonies come uncannily close to what Midlake is capable of. Pure plusses for Andy Burrows. In general there definitely is a The Beatles element in Company, in the way The Beatles could keep their ballads on albums very small. Perhaps even Bee Gees without the nasal singing if its 60s hits. 'Stars in the sky' gives away this influence most. The downside of Company is that over ten songs the album is a bit uniform. If I do not listen intently to the album, the songs become a bit of a blur and fade into one. When I do truly listen to the album a lot of beauty is presented. That makes that I'm a bit ambiguous towards the album. Approaching the songs individually nearly each one holds up as a beautiful song, altogether it may just be a bit too much of a good thing. Company does end in my favour though, as I keep coming back to it so far. Enough to listen to which is of interest. 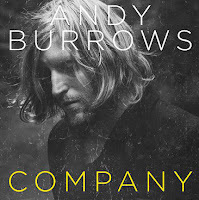 Andy Burrows has proven with Company that he is a singer-songwriter within his own right. I've already listened more often to this album than all Razorlight's albums combined. I'm looking forward to hearing more in the future.